Co-founder of Atari, Ted Dabney (pictured left) has died of cancer, aged 81. Dabney was considered by many to be one of the fathers of modern gaming, having co-founded Atari and collaborated with Allan Alcorn to create Pong. Born in San Francisco in 1937, Dabney enjoyed a diverse career. He served in the US marines, worked as an electrician at Bank of America, and even ran a grocery store and a deli, before co-founding one of the most important gaming brands of all time. In 1972, Dabney and fellow Ampex employee Nolan Bushnell founded Atari and produced their first game, Computer Space. Dabney engineered the arcade game’s physical function, using affordable components from standard television sets to save on costs. The iconic coin slot was designed by Dabney himself. 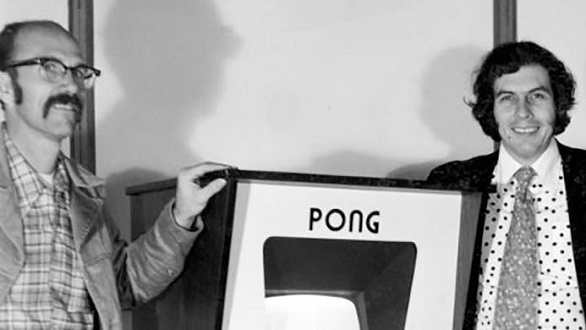 While this game didn’t quite take off, Atari built on the concept for its next project, a little game named ‘Pong’. Dabney left the company the following year, but remained influential in the industry, creating new games for Atari’s physical outlets and working at companies such as Raytheon and Fujistu. Dabney was diagnosed with esophageal cancer in 2017. He chose not to receive treatment. Dabney leaves an indelible stamp on the world of gaming. His legacy will inspire engineers, designers, and developers for years to come.